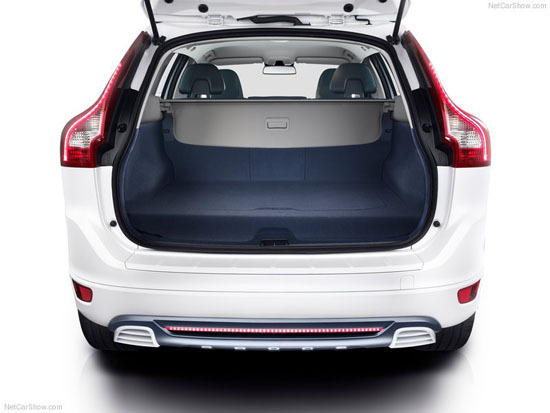 Volvo Car Corporation will present the Volvo XC60 Plug-in Hybrid Concept Car at the 2012 North American International Auto Car Show in Detroit. Being a hybrid car, it is expected to be economical but with a powerful high-performance and has an excellent design. 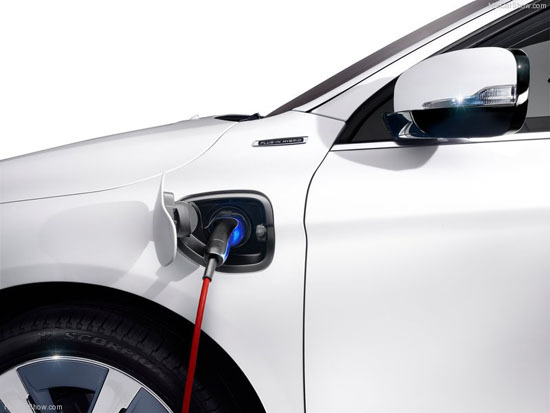 Deciding which power to use is dead easy for the user because, with just a touch of a button, user can choose between high-performance gasoline engine and the electric powered motor. 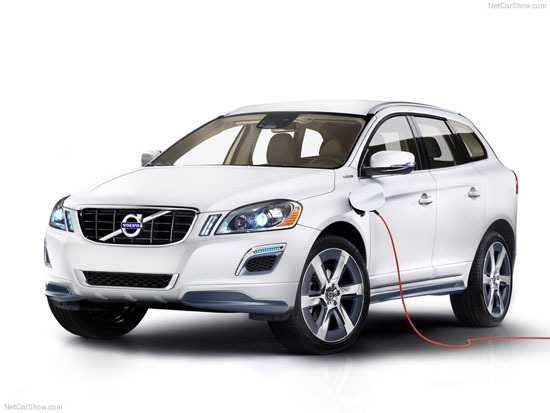 As an economical and high-performance car rolled into one, the Volvo XC60 Plug-in Hybrid Concept Car will let you make green progress while on the road without compromising any of the properties a luxury car owner has to enjoy. It is as if you are driving three different cars into one. 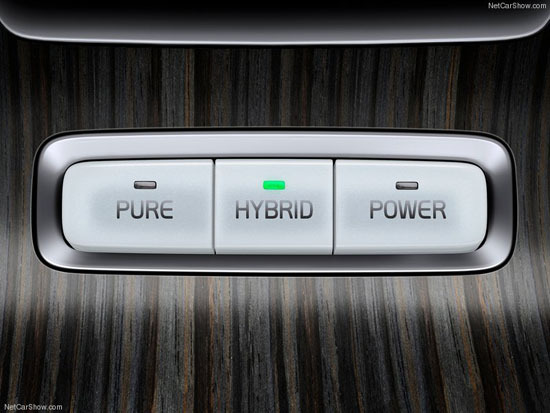 You will just have to choose among the three buttons including Pure, Hybrid or Power. Pure – if you choose the pure mode, the car will be powered solely by its electric power where you are given the chance to enjoy up to 35 miles. 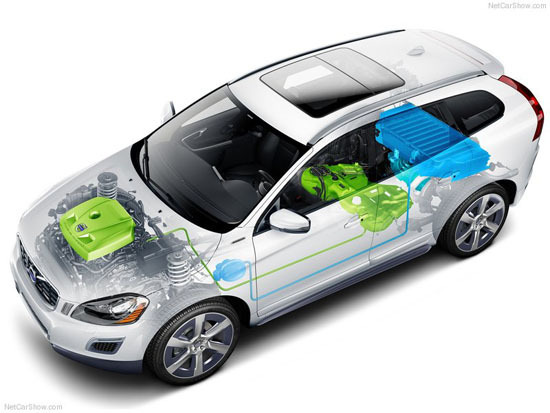 Hybrid – Obviously, the hybrid mode will let you use the gasoline and electric engine. In addition, this is the standard setting every time the car is started. This mode will let you enjoy maximum pleasure with lesser carbon emission. Power – the power mode optimizes the technology the car has for a maximum power. Under this mode, the engine will use 280 hp and 380 Nm along with the 70 hp and 200 Nm electric motor. 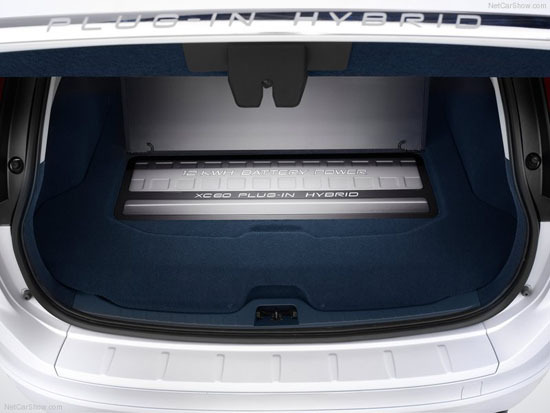 Other features of the Volvo XC60 Plug-in Hybrid Concept Car include the four cylinders that work as strong as the six-cylinder unit does. The concept car is also designed to reduce the use of parts and weight as well as to reduce fuel consumption. The integrated Starter Generator is connected to the crankshaft and it has the ability to deliver extra 34 kW or 45 hp of power during acceleration. As an electric powered car, it uses a 12 kWh lithium-ion battery that can be charged at home. Being an eco-friendly car does not mean forgetting the modern features that every modern and luxury cars are having today. 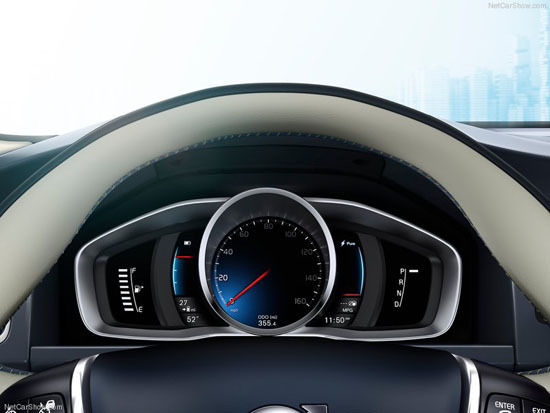 With the Volvo XC60 Plug-in Hybrid Concept Car, you can be constantly online with the car’s Volvo Sensus infotainment system. With this feature, the driver can get information like the best route to destination, saving them time and gas, low emission zones, charging stations, and more. It also has the mobile application that you will surely love. Because of this, you can connect to the car via mobile and get information like battery charge level, remaining range, and more. The excellence of the Volvo XC60 Plug-in Hybrid Concept Car does not end with its performance because the muscular appearance it has is inevitably lovely. Painted in special white color, the car features 21-inch wheels that enhance its muscular appearance. 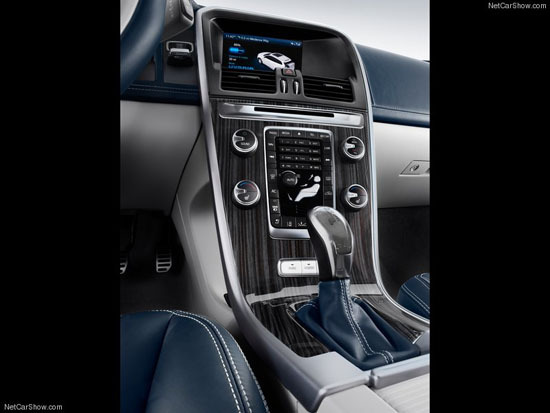 The interior has the lovely colors like the dark-blue leather upholstery and blue gray wood made the Volvo XC60 the ideal car for today’s modern world without harming the environment. 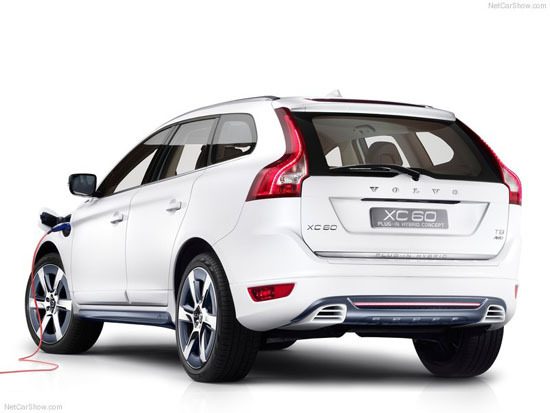 The Volvo XC60 Plug-in Hybrid Concept Car is really a combination of style and ecology. 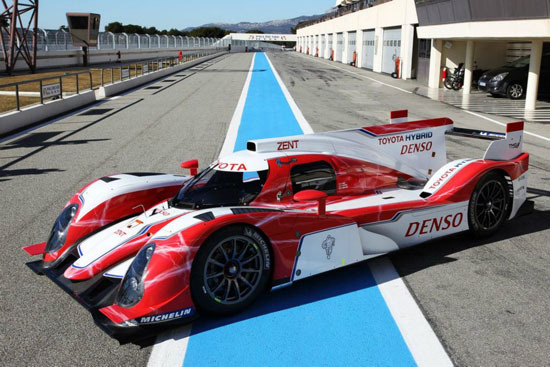 As a hybrid car it is expected to be economical but with a powerful high-performance and has an excellent design. Here the real advantage is that, with just a touch of a button, user can choose between high-performance gasoline engine and the electric powered motor. 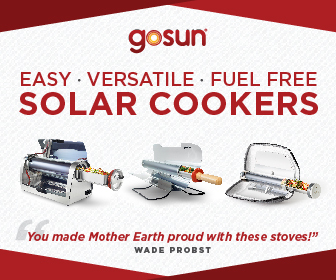 It means it provides both gasoline engine and the electric powered motor. . The vehicle designed according to the economical and financial condition of the world. The people who are more financially strong mostly like to buy the branded cars like VOLVO XC60and all. But there so many people who are not financially strong but still want car and in those conditions people like to buy the car whose cost is less. Electrical motor is the new invention of the technology for this time. It is invented to make the society pollution free. Also electric cars having all the compatible parts like the fuel cars. From my own experience the car is really very luxurious in look also very comfortable to drive .Also it prevents us from the air pollution and the unusable problem like fuel finished so car will stop. So we should purchase car running through electricity. This is really helpful o the people want car in less cost .